Did Clementine realize how startlingly beautiful she looked on the blanket? She’s a one year old diva, spirited and friendly. 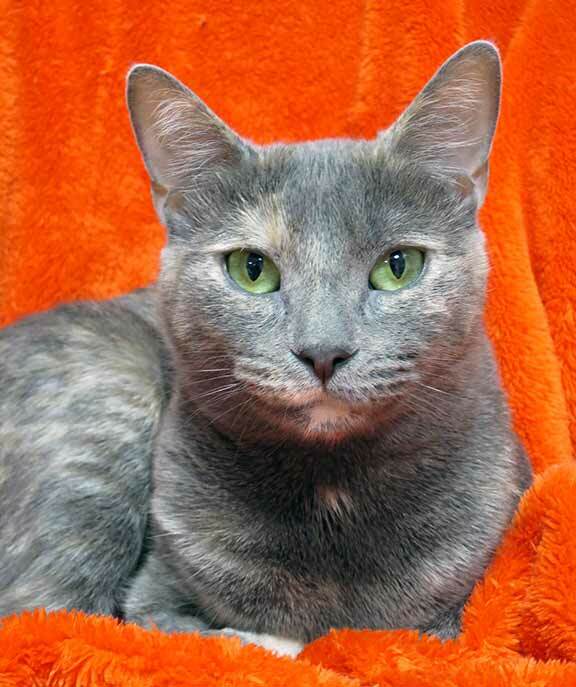 Clementine gets along with other cats as long as they understand that she makes the rules. She’s tapping her paw, impatiently waiting for you at the shelter.